Where Have All the Libraries Gone? With the growth of digital books and the Internet, there were many who speculated that libraries were soon to go the way of the dodo bird, but the data show a very different story. According to the American Library Association, program attendance, circulation, and library visits have increased regularly each year. These increases not only show that libraries have an enduring place in the lives of communities, but how they and adapt to support changes in those communities. NPQ has written extensively about the multitude of ways that libraries continue to be vital to communities. Libraries serve as places of refuge during periods of citywide turmoil, as in Baltimore and Ferguson, or as places to provide equitable access to technology for digitally dependent students and families. Libraries were a key component of the rebuilding of New Orleans after Katrina. So why do cities and states regularly cut funding for these organizations that are designed to support communities? They have also expanded in some cases to become lenders of “things” like seeds and household tools. 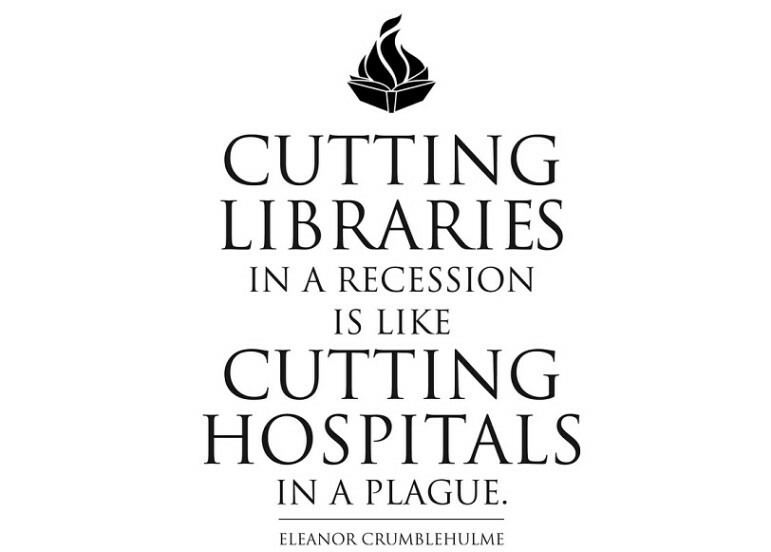 But as cities face shrinking budgets, libraries sometimes end up shuttered due to lack of financial support. This leaves empty holes in the net of resources available to communities already facing economic instability. In Trenton, N.J., for instance, three of the city’s four libraries were shuttered in 2010 due to budget shortfalls. At that time, not only did the city reduce funding of the libraries, but additional state-level funding cuts led the city to close the branches. In 2012, the city made an effort to reopen the libraries as community centers. The plan by then-mayor Tony Mack drew extreme criticism both from the community and the New Jersey Library Association. As presented, the plan provided insufficient structures to ensure solid program stability, so the libraries were once again shuttered. All of this led to the current plan to lease the empty and deteriorating buildings to nonprofits. Bishop James Gaines pastor of El Bethel Baptist Church, for instance, hopes to develop at least one shuttered library branch and turn it into an all-purpose community center. Gaines is modeling his new vision off a successful program he ran in Tampa, Florida, at the Better Life Church he founded in 2010. In Tampa, the program began as a free after-school program, filling a need by providing a place for 25 kids who had nowhere else to go after school. It has since grown into a community center serving over 300 students. The program began offering services for parents, as well. Gaines is working with the City Council to develop a plan to lease a property. In this arrangement with the City, Gaines and his Better Life organization would agree to make all necessary repairs to the property, and then pay a fixed monthly rent, beginning at $500 per month the first year and growing to $900 a month by the end of the five-year lease. Bishop Gaines is ready to move and already has contractors lined up. But is that the right disposition of these valuable community resources? Does that mean these branches will be irretrievably lost? While Bishop Gaines hopes to fill a need in the community, the larger question remains about the future of public libraries in Trenton and other cities that serve low-income communities. The current director of the Trenton Free Public Library System, Kimberly Matthews, is leaving to join the library system in Miami-Dade County in Florida. As the library works to launch a national search, they are using words like “creativity” and “vision” as desired qualities of the new director. However, the biggest hurdle for the new director will likely be budget-related—the current New Jersey FY16 budget keeps library funding at the FY2011 level, and that budget represented a 42 percent decrease from the FY2010 budget. Imagine a library with no books; instead, every space is filled with high-end technology.